Wallace Chevrolet > Android Auto > Chevrolet Spark Price Revealed in Canada – $9,995 CAD! Chevrolet Spark Price Revealed in Canada – $9,995 CAD! is officially the most affordable vehicle in Canada! Chevrolet Canada revealed the all-new Spark price at the Montreal Auto Show and announced it will start at just $9,995, all while being packed with standard features! It’s true! You’ll get loads of great standard features like a 7-inch MyLink touchscreen display with Apple CarPlay & Android Auto, 10 airbags, and a rear backup camera! Plus, you’ll always stay connected thanks to Spark’s standard 4G LTE in-car wi-fi hotspot. Spark gets a standard 7-inch Mylink touchscreen & backup camera! Under the hood you’ll find a peppy and fuel-efficient 1.4L Ecotec producing 98 hp and 94 lb-ft of torque that’s estimated to return 30-40mpg in the city. 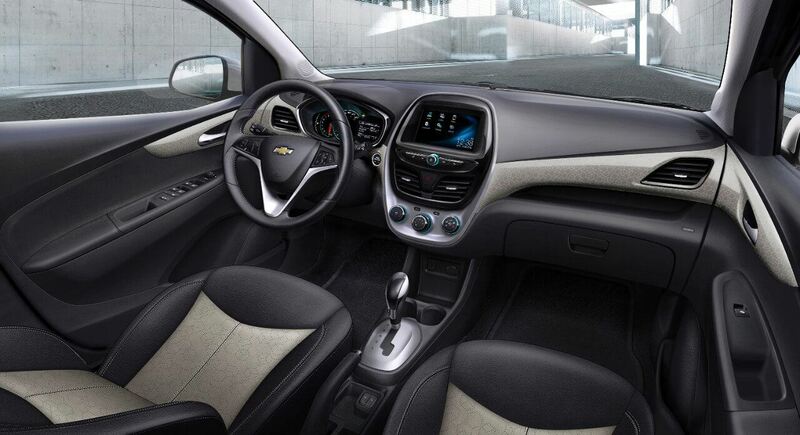 Look for the all new 2016 Chevrolet Spark at Wallace Chevrolet later this year!